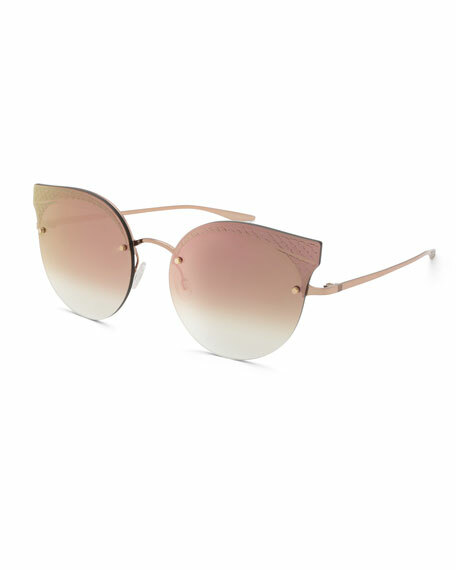 Barton Perreira "Sol Mate" rimless cat-eye sunglasses with titanium hardware. Peaked frame fronts with etch detail. Slim temples with diamond embossing and bulb tips. For in-store inquiries, use sku #2425431.